a) What are the two variables in the Washington Post headline claim? What makes the claim a causal one? b) Of course, we need to conduct an experiment to definitively support a causal claim. Would an experiment be possible in this particular case? For the current study, researchers examined data on 1,082 mother-child pairs. They questioned women about their family structure, friendships and relationships in their communities and also looked at test results from cognitive assessments done when children were 2 years old. Overall, mothers had an average of 3.5 friends in their social support networks. The kids of mothers with more than that tended to have higher cognitive test scores than the kids of those who had fewer, suggesting “network conditions were significantly associated with early cognitive development in children,” the study authors wrote. c) Sketch a simple scatterplot of the result described above. What will you put on the two axes? How many dots should your scatterplot have? What does one dot represent? The researchers accounted for some factors that might influence child cognitive development, including mother’s age and IQ, father’s education level, and the child’s birth weight. In addition, "researchers also accounted for poverty levels"
d) The paragraph above is describing a multiple regression analysis. What would be the dependent (criterion variable) in this analysis? What are the predictor variables? (Hint: There are six predictor variables). e) Imagine that someone proposes income as a possible internal validity problem. Given what you know about the study, can we say that "Perhaps friendship network size and child cognitive skills are correlated because of the third variable of income: That is, higher-income mothers may have more friends and more cognitively skilled children"? Would this criticism be reasonable? Why or why not? f) The journalist writes: "...they did not have data to assess other personal differences, such as history of depression, between mothers with large networks of friends and those with fewer." This means history of depression could be a possible third variable explaining the relationship. How could the researchers rule out this third variable? All of the families in the study lived in the area around Memphis. It is possible that results might be different elsewhere. g) Which big validity is the journalist addressing in the statement above? h) Do you think the correlation between friendship and cognitive test scores would actually come out differently in a different city or country? Why or why not? a) The two variables are Amount of mothers' friendships and Level of health of babies' brains. The language of "may be good for" makes this a causal headline (remember we ignore adverbs such as "may" when classifying claims). b) Probably not; you'd have to randomly assign some mothers to have more friends and others to have fewer friends. c) One axis should have "number of friends" and the other should have "cognitive test score". There should be about 1082 dots on the scatterplot (better count your dots now...), and each dot represents a mother-child dyad. d) The criterion variable is cognitive test score. The predictor variables are number of friends, poverty levels, mother’s age, mother's IQ, father’s education level and the child’s birth weight. e) Since the researchers did control for poverty levels, we can actually rule out wealth as a possible third variable. f) the researchers could obtain history of depression data on each mother and then add this variable as a predictor variable to the regression analysis. If the beta associated with "number of friends" is still significantly predicting cognitive test score, then we can rule out this possible confound (/third variable/ internal validity problem). h) In my opinion, it seems unlikely that such a relationship is limited only to Memphis residents. Note: You can read the original empirical article in JAMA, here. Note to savvy instructors: The p-curve on the results in this paper suggests that there may be little evidentiary value. The science on sleep suggests that most of us need more of it! A Washington Post article recently proposed that lack of sleep might be a "public health crisis." The journalist's story covered several types of empirical studies and made a series of frequency, association, and causal claims. "Preschoolers who skip naps are worse at a memory game than those who snooze." "...a single night of sleep deprivation boosts brain levels of the proteins that form toxic clumps in Alzheimer’s patients." "In 2016, the Centers for Disease Control and Prevention reported that a third of adults fail to get the recommended seven hours." "...even modest sleep reductions are linked to increased feelings of social isolation and loneliness." "A small study presented at the Society for Neuroscience conference last year found early evidence that playing “pink” noise — similar to white noise but with different frequencies — in a specific pattern could increase the proportion of time people spent in restorative deep sleep." "Studies have linked pain to poor sleep.."
Suggested answers to odd-numbered quotes. This is an association claim, because the verb “are” is simply linking one type of preschooler (those who skip naps) with having lower skill at the memory game. This is a frequency claim. There is one variable and the sentence is mainly describing the number of U.S. adults who get that amount of sleep. This is a causal claim because the verb used was “increase”. Level of pain and quality of sleep. The verb, “linked” is a verb signaling an association claim. Audiobooks are more popular than ever. Have you ever wondered if there are cognitive differences between reading print books and listening to audiobooks? In this editorial, psychologist Dan Willingham explains some of the research comparing the two formats. Dr. Willingham describes several research findings, most of which come from experimental designs. ...there are differences between print and audio, notably prosody. That’s the pitch, tempo and stress of spoken words. “What a great party” can be a sincere compliment or sarcastic put-down, but they look identical on the page. Although writing lacks symbols for prosody, experienced readers infer it as they go. In one experiment, subjects listened to a recording of someone’s voice who either spoke quickly or slowly. Next, everyone silently read the same text, purportedly written by the person whose voice they had just heard. Those hearing the quick talker read the text faster than those hearing the slow talker. b. What is the dependent variable? c. Sketch a small graph of the results described, labeling your axes mindfully. It sounds as if comprehension should be easier when listening than reading, but that’s not always true. For example, one study compared how well students learned about a scientific subject from a 22-minute podcast versus a printed article. Although students spent equivalent time with each format, on a written quiz two days later the readers scored 81 percent and the listeners 59 percent. e. What is the dependent variable? f. Sketch a small graph of the results described, labeling your axes mindfully. g. Do you think you could have conducted this study as a repeated-measures design? Why or why not? h. What questions do you have about the internal validity of this study? a. The IV is reading speed of the narrator during the first task; its levels are Slow and Fast. The phrase, "either spoke quickly or slowly" tells you this was manipulated as independent groups. b. The dependent variable was how fast people read the text passage. d. Here the IV is reading a text or listening to a podcast. The results phrase refers to "readers" and "listeners," implying that the IV was manipulated as between groups (independent groups). e. The DV is score on a comprehension quiz. g. It might be difficult to conduct this exact study as a repeated-measures design, because people would have to process the same content aurally and via reading. Once they've processed the content once, it would undoubtedly be easier to process it a second time. h. You'd want to be sure that i) people were randomly assigned to the two conditions. This would control for selection threats; and ii) people in the two conditions read or listened to the exact same text (for example, a podcast and its transcript). This would help avoid a design confound. Can puppy pictures help your relationship? Professor James McNulty, a social psychologist who studies relationships, was asked by the Department of Defense to develop an intervention to help couples cope with the separation of a deployment. How can couples stay close when their partner is far away for months at a time? For six weeks, one group of partners was shown a stream of images every three days that repeatedly paired their partner's image with that of a positive image, like a puppy. The control group saw pictures of their partners paired with neutral images, such as a shirt button. Every two weeks [beginning at the start of the study], the couples' attitude toward each other were measured by the positive and negative words used when reviewing a series of faces, of which their partner was included. When couples were evaluated at the end of the study, those who had been shown positive images had more positive associations with their partners and improved marriage quality. There were 144 couples in the study. You can read the empirical journal article here, in the journal Psychological Science. a) McNulty and his team conducted an experiment. What are the independent and dependent variables? Was the independent variable manipulated as within groups or independent groups? b) Which type of experiment does it appear to be, based on the description: Posttest-only? Pretest-posttest? Concurrent measures? Repeated measures? c) Think about the design of this study and consider the 12 internal validity threats presented in Table 11.1. Which threats can you probably rule out, given the design of this study? Which threats do you think might still be in question? What questions might you ask about the study to assess these remaining threats to internal validity? a) The independent variable was which type of treatment they were in: Pairing their partner's face with cute animals or with neutral objects. This was an independent groups IV. The dependent variables included the positive and negative emotions people felt, and their marriage quality. That is, there were multiple dependent variables in the study. b) This appears to be an independent groups design; specifically, a prettest-posttest design. c) The researchers randomly assigned couples to the two groups, so we can rule out selection effects. It's not a repeated measures design, so we don't need to worry about order effects. Because they used a control group and an experimental group, we can rule out threats such as maturation, testing, regression, instrumentation, and history, because these threats would have applied equally to both experimental and control groups and thus evened out. We might ask about attrition (selection-attrition) in the two groups in case the unhappiest couples dropped out of the experimental group more often (however, if attrition was similar in the two groups then attrition is not an internal validity threat). We might wonder if some couples guessed the hypothesis of the study and changed their answers (experimental demand). Since both groups received a treatment (either the cute photos or the neutral photos), we can probably rule out a placebo effect. The dependent measures appear to be self-report, so observer bias is unlikely here. Here's a short video with footage from an experiment that tested dogs' empathy. Watch the video with these questions in mind. a) The study was an experiment. What was the independent variable (IV)? b) Was the IV manipulated as between-groups (independent groups) or within-groups? What keywords in the video description helped you answer this question? c) The dependent variable (DV) was operationalized in two ways. What were they? f) Does the study support the claim that "hearing their owners ask for help while crying causes dogs to help their owners faster"? Apply the three causal criteria to support your answer. a) The IV was whether the owners were saying "help" while pretending to cry, or saying "help" in a neutral tone, while humming Twinkle Twinkle Little Star. b) This was independent-groups--the reporter used keywords such as "some owners" and "other owners". This was a posttest-only design. c) One operationalization of the DV was whether the dogs opened the door, or not. The other operationalization of the DV was how long each dog took to open the door. d) Only the "time taken" DV showed the predicted effect. f) The results show covariance because dogs whose owners were crying opened the door three times as fast as dogs whose owners were calm. Temporal precedence is ensured by the methodology--by randomly assigning owners to cry (vs. sing), they ensured that this condition came before opening the door. The study would have good internal validity if they randomly assigned owner/dog pairs to the two conditions--this would take care of selection threats such as having more "already helpful" dogs in the crying condition, or having owners who are better at acting in one condition or the other. As far as design confounds, we might ask about whether the owners in the two conditions acted exactly the same in all ways except their assigned conditions. Do kids do better in private schools? A large study has compared the outcomes of children who've attended private schools to those who've attended public schools. A journalist summarized the report in the Washington Post. The study provides a nice example of how multivariate regression can be used to test third variable hypotheses. When we look simply at the educational acheivement of students in private schools vs. public schools, private school students have higher achievement scores. However, all such studies are correlational, because the two variables--Type of School and Level of Achievement--are measured. Therefore, such studies how covariance, because the results depict a relationship. The study may even show temporal precedence, because attending school presumably precedes the measure of achievement. However, such studies are weak on internal validity. We can think of several alternative explanations for why children in private schools are scoring higher. One major alternative explanation is socioeconomic status. Children from wealthier families are more likely to afford private schools. And in general, children from wealthier families tend to score higher on achievement tests. a) Draw little diagrams similar to those in Figure 8.15 (in the 3rd ed.) to depict the arguments being made in this study. What would A be? What about B? In the quote from Pianta, above, what would the C variable(s) be? b) The researchers used type of school (private vs. public), which is a categorical variable. But in some analyses, the researchers also used "number of years in private school" as an alternative version of this variable. Is "number of years in private school" categorical, ordinal, interval, or ratio data? c) Sketch a mock-up regression table with the criterion variable at the top and predictors below (Use Table 9.1 as a model). Which variable do you think the researchers selected as the criterion (dependent) variable in their analyses? Which variable(s) would have been the predictors? d) Now that you know what the results were, think about how the beta associated with "number of years in private school" would change when parental SES is added and removed from the regression analyses. Original journal article seems to be open-access. Give it a try! a) A and B would be Type of School and Level of Acheivement. It doesn't really matter which one is A and which one is called B. C would be Family Income and/or Parental Education. c) The criterion variable would be Achievement, and the predictors would be Number of Years of Private School, Family Income, and Parental Education. d)When the Number of Years of Private School is on the table (in the analysis) by itself, its beta is likely to be positve and significant (more years of private school goes with higher achievement). When Family Income and Parental Education are added to the table, the beta for Number of Years of Private School should drop to zero. This pattern of results is consistent with the argument that Family Income and Parental Education are the alternative explanation for the original relationship . Do smartphones harm teenagers? If so, how much? In this blog, I've written before about the quasi-experimental and correlational designs used in research on screen time and well-being in teenagers. In that post you can practice identifying the different designs we can use to study this question. Today's topic is more about the size of the effect in studies that have been published. A recent Wired story tried to put the effect size in perspective. One side of the argument, as presented by Robbie Gonzalez in Wired, scares us into seeing social media as dangerous. ...there were the books. Well-publicized. Scary-sounding. Several, really, but two in particular. The first, Irresistible: The Rise of Addictive Technology and the Business of Keeping Us Hooked, by NYU psychologist Adam Alter, was released March 2, 2017. The second, iGen: Why Today's Super-Connected Kids are Growing Up Less Rebellious, More Tolerant, Less Happy – and Completely Unprepared for Adulthood – and What That Means for the Rest of Us, by San Diego State University psychologist Jean Twenge, hit stores five months later. ...Former employees and executives from companies like Facebook worried openly to the media about the monsters they helped create. When Twenge and her colleagues analyzed data from two nationally representative surveys of hundreds of thousands of kids, they calculated that social media exposure could explain 0.36 percent of the covariance for depressive symptoms in girls. But those results didn’t hold for the boys in the dataset. What's more, that 0.36 percent means that 99.64 percent of the group’s depressive symptoms had nothing to do with social media use. Przybylski puts it another way: "I have the data set they used open in front of me, and I submit to you that, based on that same data set, eating potatoes has the exact same negative effect on depression. That the negative impact of listening to music is 13 times larger than the effect of social media." In datasets as large as these, it's easy for weak correlational signals to emerge from the noise. And a correlation tells us nothing about whether new-media screen time actually causes sadness or depression. There are several things to notice in the extended quote above. First let's unpack what it means to, "explain 0.36% of the covariance". Sometimes researchers will square the correlation coefficient r to create the value R2. The R2 tells you the percentage of variance explained in one variable by the other (incidentally, they usually say "percent of the variance" instead of "percent of covariance."). In this case, it tells you how much of the variance in depressive symptoms is explained by social media time (and by elimination, it tells you what percentage is attributable to something else). We can take the square root of 0.0036 (that's the percentage version of 0.36%) to get the original r between depressive symptoms and social media use. It's r = .06.
a) Based on the guidelines you learned in Chapter 8, is an r of .06 small, medium, or large? b) Przybylski claims that the effect of social media use on depression is the same size as eating potatoes. On what data might he be basing this claim? Illustrate your answer with two well-labelled scatterplots, one for social media and the other for potatoes. Now add a third scatterplot, showing listening to music. d) Finally, Przybylski notes that in large data sets, it's easy for weak correlation signals to appear from the noise. What statistical concepts are being applied here? e) Chapter 8 presents another example of a large data set that found a weak (but statistically significant) correlation. What is it? f) The discussion above between Gonzalez and Przybylski concerns which of the four big validities? g) Finally, Przybylski mentions that "a correlation tells us nothing about whether new-media screen time actually causes sadness or depression". Why not? a) An r of .06 is probably going to be characterized as "small" or "very small" or even "trivial." That's what the "potatoes" point is trying to illustrate, in a more concrete way. b) One scatterplot should be labeled with "potato eating" on the x axis and "depression symptoms" on the y axis. The second scatterplot should be labeled with "social media use" on the x axis and "depression symptoms" on the y axis. These first two plots should show a positive slope of points with the points very spread out--to indicate the weakness of the association. The spread of the first two scatterplots should be almost the same, to represent the claim the two relationships are equal in magnitude. The third scatterplot should be labeled with "listening to music" on the x axis and "depression symptoms" on the y axis, and this plot should show a much stronger, positive correlation (a tighter cloud of points). c) It is a moderator. Gender moderates (changes) the relationship between screen use and depression. d) Very large data sets have a lot of statistical power. Therefore, large data sets can show statistical significance for even very, very, small correlations--even correlations that are not of much practical interest. A researcher might report a "statistically significant' correlation, but it's essential to also ask about the effect size and its practical value (the potatoes argument). Note: you can see the r = .06 value in the original empirical article here, on p. 9.
e) The example in Chapter 8 is the one about meeting one's spouse online and having a happier marriage--that was a statistically significant relationship, but r was only .03. That didn't stop the media from hyping it up, however. ...research on the link between technology and wellbeing, attention, and addiction finds itself in need of similar initiatives. They need randomized controlled trials, to establish stronger correlations between the architecture of our interfaces and their impacts; and funding for long-term, rigorously performed research. "Don't get me wrong, I'm concerned about the effects of technology. That's why I spend so much of my time trying to do the science well," Przybylski says. Good science is the best way to answer our questions. Opioid addition is a major health crisis in the United States. Deaths from overdose increased dramatically in the last 5 years. Opioid addiction sometimes starts when a person in pain is prescribed legal opioid drugs by a physician. Opioid prescriptions can also be sold illegally. For these reasons, opioid prescription rates are an indicator of opioid abuse in a particular region. Some public health researchers have investigated whether legalizing marijuana can reduce rates of opioid use and abuse. Marijuana is an alternative for controlling chronic pain that, according to many experts, has a lower addiction risk. Recently, researchers published two studies, both with quasi-experimental designs, that tested whether legalized marijuana could lower the rates of opioid prescriptions. Like many quasi-experiments, the researchers took advantage of a real-world situation: Some U.S. states have legalized marijuana and other states have not. Results showed that laws that let people use marijuana to treat specific medical conditions were associated with about a 6 percent lower rate [over the years studied] of opioid prescribing for pain. That's about 39 fewer prescriptions per 1,000 people using Medicaid. And when states with such a law went on to also allow recreational marijuana use by adults, there was an additional drop averaging about 6 percent. a) What is the "independent" variable in this quasi-experiment? What is the dependent variable? Was the independent variable independent groups or within groups? b) What makes this a quasi-independent variable? c) Of the four quasi experimental designs, which seems to be the best fit: Non-equivalent control group posttest only? Non-equivalent control group pretest-posttest? Interrupted time series design? Non-equivalent control group posttest-only design? d) How might you graph the results described above? e) To what extent can these data support the causal claim that "legalizing marijuana, either for medical use or recreational use, can lower the rates of opioid prescriptions in the Medicaid system"? The two studies are available open-access through JAMA Internal Medicine. Here's the study using Medicare Part D prescription rates, and here's the study using Medicaid prescription rates. b) This IV was not manipulated/controlled by the experimenter. The researcher did not decide which states could legalize marijuana or not. c) This is probably best characterized as a non-equivalent control group, pretest-posttest design. There were two types of states (legalized and not) and one main outcome variable: opioid prescriptions. The prescription rate was compared over time (from 2011 to 2016), making it pretest-posttest. d) Your y-axis should have "opioid prescriptions" and the x-axis should include the years 2011 to 2016. You could then have "States with legalization" and "States without legalization" as two different colored lines. e) The results of the study show covariance (States with legalized marijuana had lower opioid prescriptions). The fact that they compared opioid prescriptions over time (2011 to 2016) suggest that the design is able to establish temporal precedence. Presumably (although this is not clear from the articles), 2011 represents a year before many of the marijuana laws took effect and 2016 data occurred after the laws had been active. As for internal validity, it's possible that states that legalize are different in systematic ways than states that do not. For example, states that legalize marijuana are more likely to be in the North and West, have lower poverty rates, and so on. However, the pretest-posttest design, in which they studied the "drop in opioid prescriptions over time" rather than "overall rate of opioid prescriptions" helps minimize some of these concerns. As with most quasi-experiments, causation is not a slam-dunk, because the experimenter does not have full control over the independent variable. Do broader faces signal antisocial traits? According to several previous studies in psychological science, men with wider faces--a greater ratio of width to height (like in the photo on the left, compared to the right)--tend to show antisocial tendencies such as racial bias, exploitation, and even aggression. Researchers attributed this link to exposure to testosterone during development, which, they say, causes both wider facial structure and antisocial behavior. Kosinski found that previous studies often had methodological shortcomings such as small sample sizes. Half of the previous studies that he identified involved fewer than 25 participants and the average sample size was 40. And seven out of ten of the studies only just crossed the conventional threshold for significance of p=.05. These factors led Kosinski to conduct a large-scale study of face measurements and behavioral tendencies. His research, published in Psychological Science, finds no relationship between facial width-to-height ratios (fWHR) and behavioral tendencies in a large sample of over 135,000 participants. a) Review the material in Chapters 11 and 14, and explain why studies based on small samples can lead to results that are difficult to replicate. (You might also want to review the "kindergarten height" example in this recent blog post). b) Why is it a problem that, in 7 out of 10 studies, the results "only just crossed the conventional threshold for significance?" After a preliminary experiment with 1,692 users showed that a computer could measure width-to-height ratios with the same accuracy that humans could, Kosinski analyzed 173,241 photos from 137,163 male and female participants (some users had multiple profile pictures and their measurements were averaged before analysis). c) According to this description, Kosinski is basically running a series of bivariate correlations. Each one was between a self-reported trait and _________? d) Pick one of the personality variables tested in the study. Now sketch a scatterplot of the result, labelling your axes carefully. f) Kosinki's study is an example of a "failure to replicate." Review the concepts in Table 14.1 and indicate which elements might apply in this case. g) What questions might you ask about the construct validity of the personality measures used in Kosinski's study? a) and e) Small samples are more likely to be affected by one or two extreme scores, whereas in very large samples, the extreme scores are much more likely to be balanced out by other scores. The gifs in this blog post show the principle dynamically. b) Some researchers have proposed that when a manuscript reports p-values very close to the conventional cutoff of .05 (p-values of .04 or .03), it's a sign that a researcher might have "p-hacked" the study. P-hacking is when a researcher goes through a series of options when analyzing the data, such as eliminating outliers, adding covariates, or testing multiple dependent measures, stopping analysis only when p just crosses under the .05 threshold. Therefore, when, in a body of literature, most of the p-values are just below .05, we might suspect that the underlying finding is a fluke, not a real result. c) Facial broadness, as measured by width-to-height ratio. d) One axis should be labelled "facial broadness" and the other might be labelled "interest in drug use." The cloud of points should be extremely spread out, showing no pattern or discernible slope. e) see a) answer above. g) Indeed, we don't know much about the personality measures used in the study. The full manuscript might report more about whether data collected with these personality measures shows that they are reliable and valid. What we need is something like an experiment for sleep. Almost as though we go out in the United States and force people to sleep different amounts and then watch what the outcome is on their wages. It turns out that ever since we’ve put time zones into place, we’ve basically been running just that sort of giant experiment on everyone in America. ...even though Amarillo and Huntsville share a time zone, the sun sets about an hour later in Amarillo, according to the clock, and since the two cities are at roughly the same latitude as well, they get roughly the same amount of daylight too. So you’ve got two cities on either end of a time zone, roughly the same size — just under 200,000 people each — where, according to the clock time, sunset is an hour apart. Now, what good is that to a pair of economists interested in sleep research? GIBSON: It turns out that the human body, our sleep cycle responds more strongly to the sun than it does to the clock. People who live in Huntsville and experience this earlier sunset go to bed earlier. And the people of Amarillo go to bed quite a bit later. You can see this in data from the American Time Use Survey. GIBSON: If we plot the average bedtime for people as a function of how far east they are within a time zone, we see this very nice, clean nice straight line with earlier bedtime for people at the more eastern location. But since Huntsville and Amarillo are in the same time zone, people start work at roughly the same time, which means alarm clocks go off at roughly the same time. GIBSON: That means if you go to bed earlier in Huntsville, you sleep longer. So now Gibson and Shrader plugged in wage data for Huntsville vs. Amarillo and other pairs of cities that had a similar sleep gap. GIBSON: We find that permanently increasing sleep by an hour per week for everybody in a city, increases the wages in that location by about 4.5 percent. a) What is the independent variable in this time zone and wages study? What is the dependent variable? b) Is the IV independent groups or within groups? c) Which of the four quasi-experimental designs is this? Non-equivalent control group posttest only, Non-equivalent control group pretest-posttest, Interrupted time series, or Non-equivalent control group interrupted time series? d) The economists asserted, "sleeping one extra hour per night on average increases wages by 16%" (italics added). What do you think? Can their study support this claim? Apply the three causal rules, especially taking note of internal validity issues that this study might have. e) If you consider only one pair of cities, there are multiple alternative explanations, besides sleep, that can account for wage differences. Name two or three such threats (considering Huntsville and Amarillo as an example). Now consider, how might many of these internal validity threats be reduced by conducting the same analysis over many other city pairs? f) This Freakonomics episode was aired in 2015, but the study (about time zones) they reviewed is not yet published. What do you think about that? a) The IV is "Hours of sleep" (but you could also call it "location on the time zone: East or West") and the DV is "Wages". b) The IV is independent-groups. c) Non-equivalent control group posttest only. As for internal validity, if we consider only the city pair of Huntsville and Amarillo, we could come up with several alternative explanations. The two cities have different historical trajectories and different ethnic diversities; they are in two different states that have different fiscal policies and industry bases. Perhaps Amarillo has poorer wages in general and people are losing out on sleep there because they are working more than one job. However, these internal validity threats become less of an issue when you consider multiple pairs of cities. It is less plausible that internal validity threats that apply to one city pair would also, coincidentally, apply to all the other city pairs that are at opposite ends of a time zone. Even though the method is fairly strong, psychologists would be unlikely to make a strong causal claim simply from quasi-experimental data like these, because the independent variable is not truly manipulated. Nevertheless, the method and results of this quasi-experiment are certainly consistent with the argument that getting more sleep may be a factor in earning higher wages. 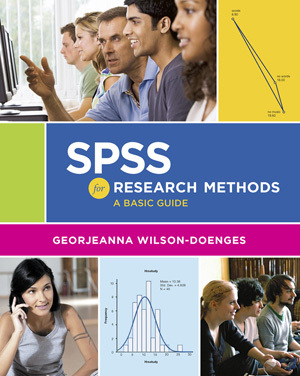 Package SPSS for Research Methods: A Basic Guide for FREE with Research Methods, 3e! Replication Update: When do people cheat? Does smoking marijuana cause car fatalities? Is this causal claim justified? 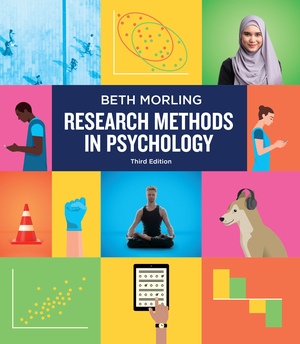 If you’re a research methods instructor or student and would like us to consider your guest post for everydayresearchmethods.com, please contact Dr. Morling. If, as an instructor, you write your own critical thinking questions to accompany the entry, we will credit you as a guest blogger.